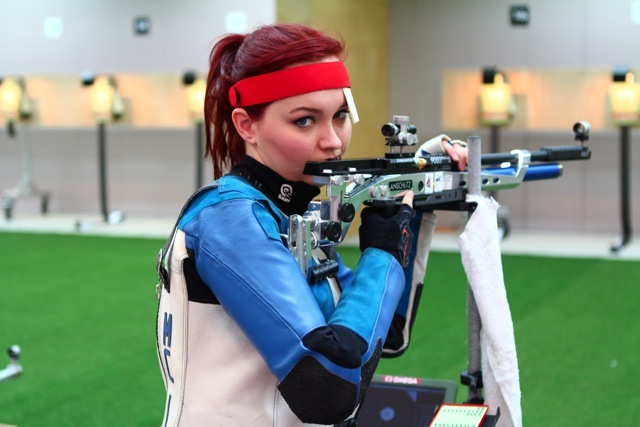 With the 2014 Commonwealth Games fast approaching we thought it would be a good time to hear from our brand ambassador and Team Scotland shooter Jen Mcintosh about how preparations are going in the lead up to the summer's big event. Here is some insight into the training an athlete like Jen does in the build up to a championship. 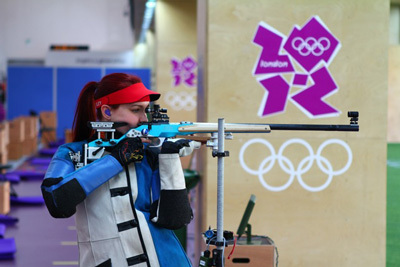 Being a full time athlete in the sport of target rifle shooting is a fairly unique position for someone in the UK. I am fortunate enough to be supported by the sportscotland Institute of Sport and UK Sport/British Shooting performance plan. This allows me to train five days a week and is what gives me access to my training facilities and support services. On a normal week I train Monday to Friday. My mornings start at 9am on the range and is spent doing my sport specific training. This largely involves technical training where I focus on improving individual aspects of my technique in order to make be an altogether better shooter. Amongst other things, I also do tactical and performance training where the aim is to put everything together and get the best possible result from myself. This often includes shooting matches just like I would at a major competition. Usually I'm on the range for around 5 hours each day so I like to mix it up with both technical and performance stuff throughout the whole session. After my morning on the range I head into the gym and focus on my physical training. Three days a week I do an hour of CV work. At the gym I tend to vary what equipment I use however I tend to prefer the bike and cross trainer as they are a lower impact exercise than running. If I choose to do my CV session at home then this is done on my Startrac NXT spin bike kindly sponsored by Anytime Leisure. The remaining two days of the week are spent following my Strength & Conditioning programme and Pilates plan. The S&C is important as it builds strength in the muscles that are fatigued and damaged while shooting. This doesn't necessarily improve my ability to shoot, however it does make me physically more robust, which in turn lowers my risk of injury and allows me to train longer. Pilates is an excellent addition as it really works my core strength, which is very important in shooting, and gives me good awareness and fine control of my muscles. It also really works the balance system, which is invaluable when your sport involves being as still as possible! As my season progresses and we move more into competition phase I may choose to cut back some of my time on the range and in the gym. I find it really important to give myself enough recovery time after each competition before starting training again, or indeed moving on to the next competition. With all the hard work done in the off season my technical level should be pretty high by this point and so it is simply a matter of maintaining it and optimising my performance. The training that I do at these times is mainly performance based and often aims to replicate the stress and pressure of a true match situation. My season is currently building towards the Commonwealth Games in Glasgow this summer, however I am not able to stop immediately after that as I am also working towards the World Championships in September. I hope to take a week or two break after Glasgow, however once that is behind me it will be back to work again for another month or so until after the World Championships. From everyone at Anytime Leisure, we want to wish Jen the best of luck for the Commonwealths and World Championships beyond this! Why Do I Need Strength Training? This entry was posted in News on 1st February, 2014 by Colin Evans.